Lake Orion Twp., MI: Does Your Water Well Pass the Test? Does Your Water Well Pass the Test in Lake Orion Township, MI? If testing your well was as simple as taking an exam in school and having your teacher grade it for you, homeowners in Lake Orion Twp., MI would find themselves with one less headache. The process isn’t all that tricky, but it can be time-consuming and confusing for new homeowners. There are several chemicals to check for as well as hardness, pH levels, and other possible contaminants. Don’t let the complexity of water examination prevent you from having clean water. Here’s what you should know. It is recommended that you test your water once a year, preferably in the spring, but there are times when more frequent testing may be necessary. If there is any sort of change, have your water tested. It’s better to be on the safe side and go through the motions than to neglect a possible problem that could cost you your health. If you live nearby a plant or factory that often uses chemicals in their processes, examining your well water more frequently is always a good idea. This is the case also for people who live in close quarters with others, in well-developed neighborhoods, or somewhere new houses are being built. One of the biggest signs to check for in determining whether to have your water tested or not is the state and quality of the water you are obtaining from your well. If there is a change in taste or smell, and especially appearance, you should test your water. It is important to check for radon content in your well water as well as uranium. While not uncommon (as radon appears naturally as a gas in layers of bedrock), it is not impossible for such chemicals to find their way into your supply and reach a level that could be harmful to yourself or others who have access to your water. Additionally, you should check for arsenic, copper, fluoride, iron, lead, sodium, chloride, manganese, and hardness. Volatile organic chemicals, such as Methyl Tertiary Butyl Ether, can be rare in locations not immediately located by a plant or even gas station, but the chemical is able to travel far without breaking down. Lastly, pH levels should be obtained when testing your well water. 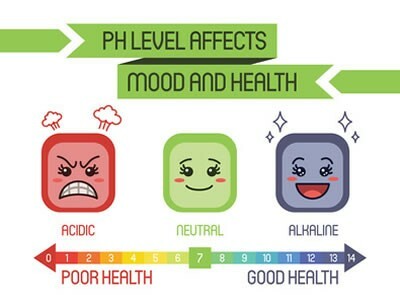 The optimal result would be a pH of 7, but drinking water can range from 6.5 to 8.5 without much cause for alarm or reparation. Not all instances of contamination are dire or require any type of service. However, if the levels of contaminants found do surpass the levels regulated by law, then a system for water treatment may need to be implemented or installed. Servicing is best conducted by rieswelldrilling.com. Homeowners in Lake Orion Townhsip, even those with the best intentions and considerable experience, can cause more harm than good when trying to service their own wells. Professional water well companies have knowledge, techniques, equipment, and materials that make the process safer and more successful. 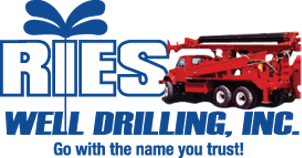 When it inevitably becomes time to service your well, give Ries Well Drilling a call at (586) 784-9516. We have maintained an A+ rating with the Better Business Bureau in our years of dedicated, meticulous work, making sure your well is safe and healthy for your family.